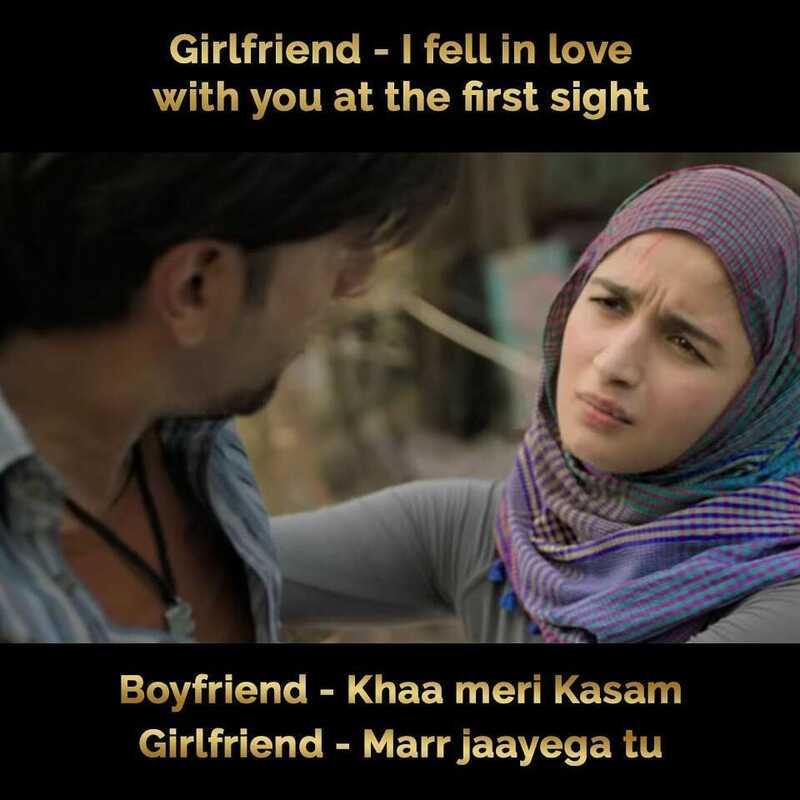 Gully Boy gave rise to some of the best memes we've seen this year. Take a look at our favourites. Directed by Zoya Akhtar, Gully stars Ranveer Singh and Alia Bhatt in the lead roles and revolves around the struggles of a rapper from the streets of Mumbai. 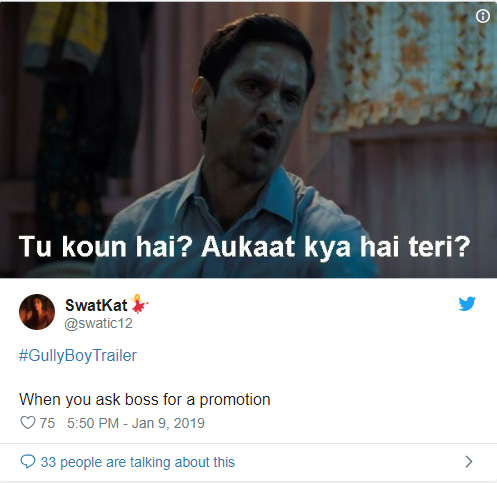 While the trailer already has a million views, it is the memes inspired by the video clip that is taking the internet by storm. 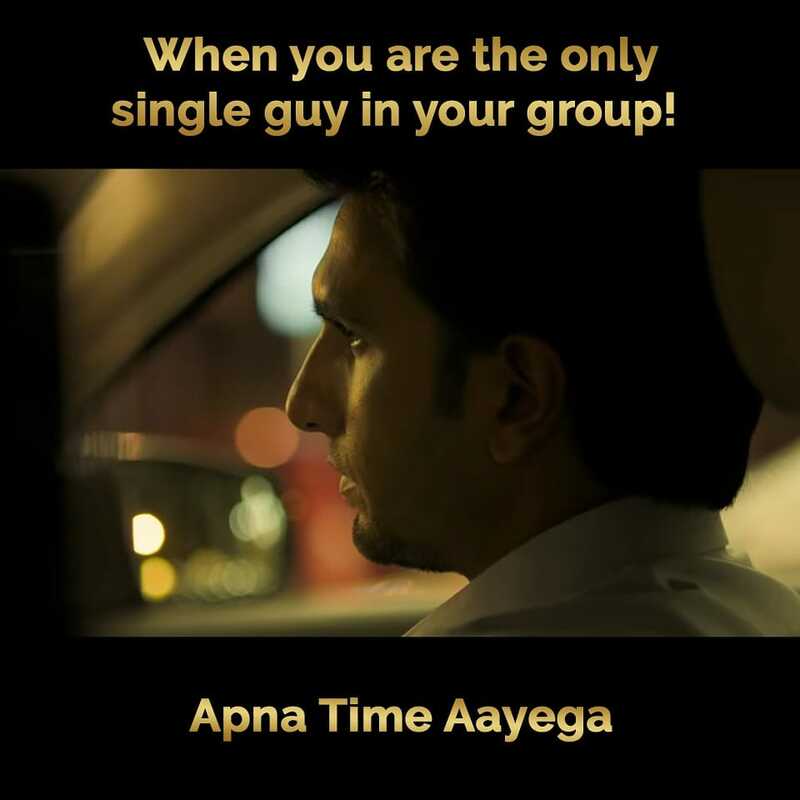 From our fellow netizens to public service bodies, everyone seems to have found something in the leading tagline ‘Apna Time Aayega’ and Alia’s powerful one-liner ‘Mar Jayega Tu’. Here’s some of those memes that we like and we are sure you will too! Mumbai Police turned Alia’s dialogue into the best road safety message ever! For those who can’t take a selfie without a filter! The most common ‘appraisal season’ scenario in office! For those who have been planning a vacation but never managed to get one. 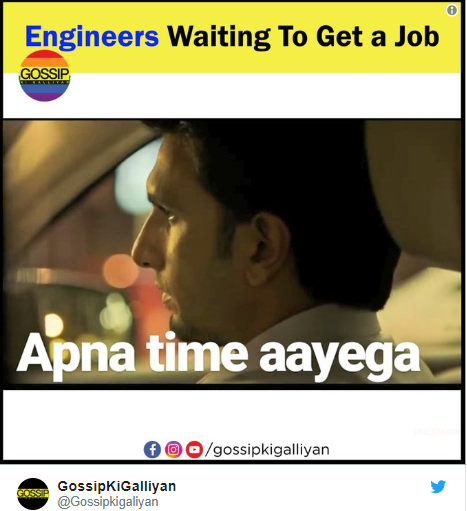 The current job scenario of every engineering student! 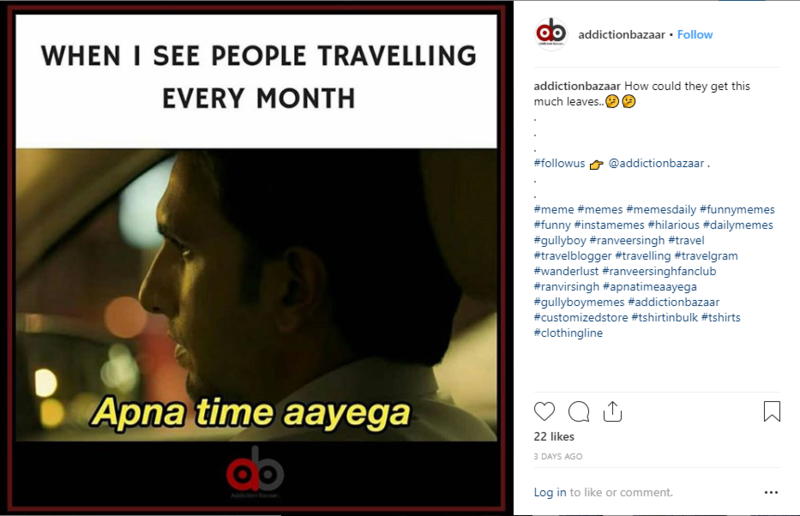 Gully Boy in inspired by the real life rapper duo- Naved Shaikh and Vivian Fernandes, aka, Naezy and Divine, who went viral with their 2015 track ‘Mere Gully Mein’. The film is all set to release on 14th February, 2019.